Choosing a home Inspector is not easy. a lot of different inspectors with different backgrounds, equipment, training, qualifications, and pricing. At the end of the day the quality of a professional home inspection relies heavily on the individual home inspector's time and effort. If you choose me to perform your inspection I guarantee that I will give you my very best effort and I will take the time to make sure you understand everything in your report. I inspect every house like I was going to buy it for myself. So buy or sell with confidence and know what you are getting. 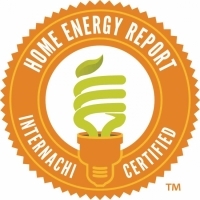 Home Inspections provide valuable information into the condition of the systems of your home. DBB Home, LLC can inspect your current, or future home. This page has some interesting inspection defects discovered along the way. Use the contact page to reach us and we will get back to you.